Within the pages we make we regularly have a number of attainable possibilities to expose or else a few actions which may be eventually taken involving a certain product or a topic so it would most likely be pretty valuable in the case that they had an simple and handy solution styling the controls tasked with the user having one route or a different inside a compact group with common appearance and styling. 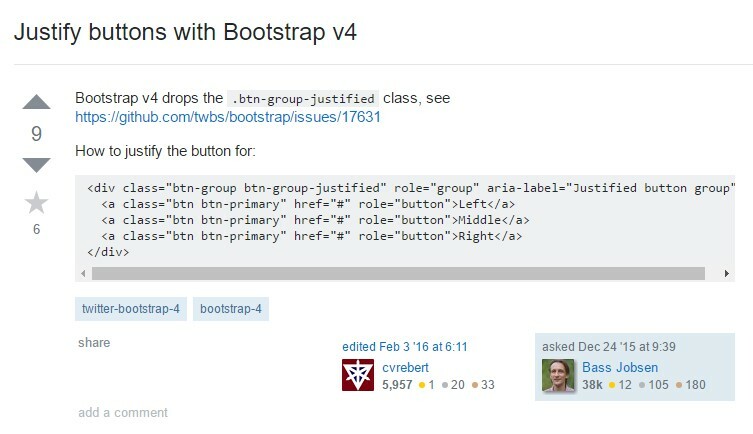 To deal with this sort of cases the current edition of the Bootstrap framework-- Bootstrap 4 has complete support to the so knowned as Bootstrap Button groups panel which ordinarily are just what the full name specify-- bunches of buttons wrapped as a single feature along with all the elements within appearing nearly the similar so it is actually convenient for the site visitor to decide on the right one and it's much less bothering for the sight because there is definitely no free area among the particular features in the group-- it seems like a particular button bar using a number of alternatives. element or nest a group inside another in order to add a dropdown component into the child button group. 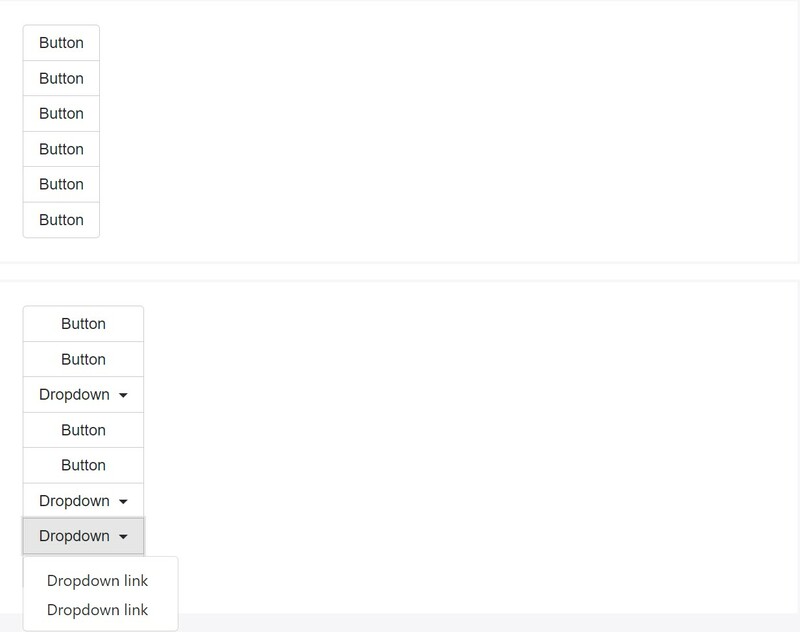 Incorporate sets of Bootstrap Button groups label inside button toolbars for more structure elements. Use utility classes just as demanded to space out groups, buttons, and even more. Feel free to combine input groups along with button groups in your toolbars. Much like the example above, you'll most likely need certain utilities though to place stuffs properly. Make a package of buttons turn up upright loaded rather than horizontally. Split button dropdowns are not upheld here. element and getting rid of the text message inside it therefore simply the tiny triangle pointer remains. Basically that is normally the manner in which the buttons groups become developed with the help of one of the most well-known mobile friendly framework in its most current edition-- Bootstrap 4. These may be fairly valuable not only exhibit a handful of feasible selections or a paths to take but also just as a additional navigation items happening at particular locations of your webpage coming with consistent appearance and easing up the navigation and complete user look.